What I love about this pattern is the whole design. It is well written and easy to follow. I like patterns that work down from the neck as this one does. This stitch pattern doesn't have a name. I refer to it as a Puff Shell stitch. 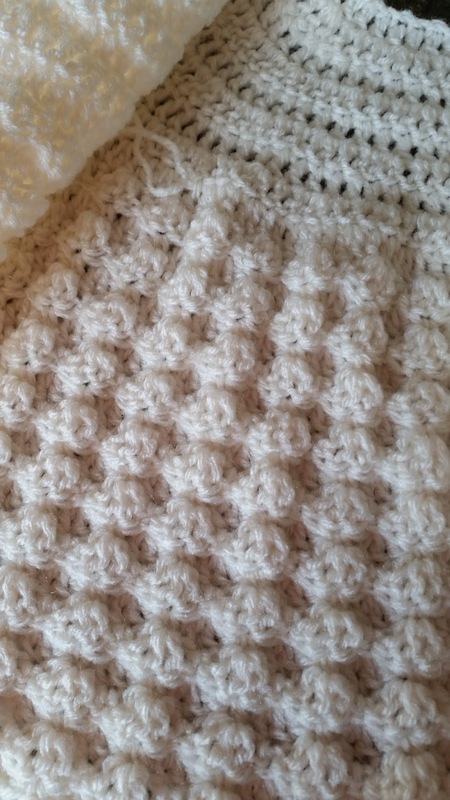 The Puff Shell stitch pattern give the impression of a waffle type design. This is particularly good for baby patterns to create warmth pockets to hold in the heat. This Puff Shell pattern looks just as good on the reverse side, making this suitable for many projects like hats, scarves, cowls, baby blankets, afghans etc. This definitely a go-to pattern of choice. To the right is the one that I am working on at present and am absolutely delighted with it. As soon as I pick it up I think of babies. It feels and looks so right. The yarn I am using is Robin Double Knit. An 8ply/DK, and the hook size 4.00mm. 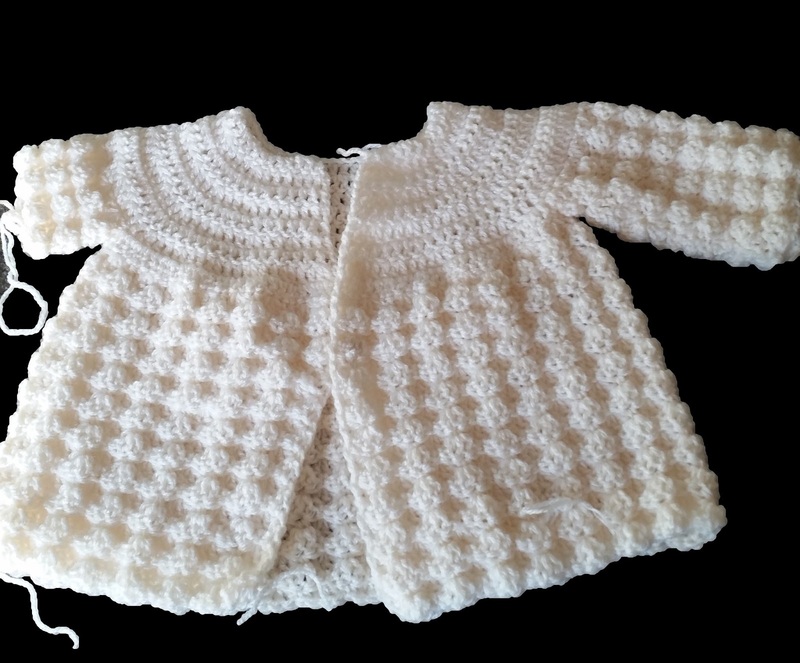 As you can see the 'waffle' type Puff Shell stitch stands proud giving an awesome look. Here is a close up of the stitch pattern on the reverse side, and as you can see it is just as good as the right side. This is such an easy stitch to achieve. I know you will love it. This is just one of the many crochet patterns available for download at JustCrochet. Patterns designed by Heather.